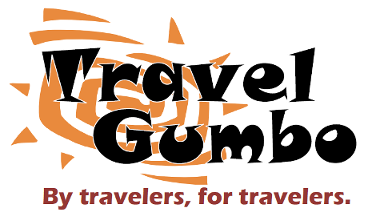 Gumbo's wandering continues and he finds himself in a new destination. Our clues begin with the above image -- a door and its knocker -- found in the charming community that we're visiting this week. As we view the upcoming sets of daily puzzle clues, we hope you'll study the photo details to figure our where Gumbo's visiting this week. Keep checking in, observing, suggesting, reading and commenting along with your fellow readers. Good luck! If you absolutely know what and where it is....please give others some time to work on it before you pounce. Email us your answer to tgsuggestions@gmail.com We acknowledge everyone who correctly answers the puzzle when the 'reveal' is posted on Monday in the order these answers are received. To leave a comment, you need to be a member...but that's free and easy. Just click HERE. So, exactly where is Gumbo visiting this week? We would like you to identify the city we're at and the country in which it's located. And a few more clues for this week's travel puzzle. Remember, we're looking for the name of the community in which these photos were taken. Here are Saturday's clues for this week's travel puzzle. Only one more set of clues yet pending, so good luck with these. Here are your final puzzle clues. Reveal will be posted tomorrow. Click on link to see all of the clues and see if you recognize which community Gumbo is visiting this week.